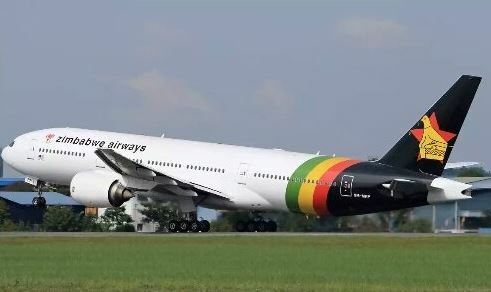 The purchase of the US$70 million fleet of four 777 Boeing aeroplanes for the new Zimbabwe Airways was above board, with Government deliberately not getting the the aircraft for debt-ridden Air Zimbabwe. Government last Wednesday took delivery of a Boeing 777-200ER jet from Malaysia, which is the first in a fleet of 10 to be managed under a Government special purpose vehicle, Zimbabwe Aviation Leasing Company, which in turn will lease the aircraft to Zim Airways. Zim Airways is owned by Government and was formed to give Air Zimbabwe time to get find its wings. A second Boeing has already been paid for in Malaysia and is expected in Zimbabwe soon. In all, Government deposited US$41 million for four 777-200 ER aeroplanes worth US$70 million. Government, which is restructuring loss-making parastatals, says it would have been unwise to purchase the craft for Air Zimbabwe because it risked losing them to creditors. In a joint statement last week, Finance and Economic Development Minister Patrick Chinamasa and his Transport and Infrastructure Development counterpart Dr Joram Gumbo said the aviation deal had gone through all necessary processes, including State Procurement Board endorsement in 2016. "Government also took a decision to lease the planes to third parties up to such a time as Air Zimbabwe develops a credible business plan to run the planes on a sustainable profitable basis," read part of the statement. "Accordingly Government decided to lease the planes to a new aircraft firm called Zimbabwe Airways which has already put in place credible plans for the said planes," the said. In an interview with The Sunday Mail on Friday, Reserve Bank of Zimbabwe Governor Dr John Mangudya confirmed Government had bought the planes. "The fact of the matter is that the planes were bought for Government and I can confirm that RBZ processed the payments. There was nothing amiss and everything was done above board." Earlier in the week, Minister Chinamasa cast aspersions on Air Zimbabwe management, and indicated Government would withhold funding to the national airline until it demonstrated capacity to turn around operations following years of loss-making. "We have been discussing at length what we can do to turn around the fortunes of Air Zimbabwe, which currently is on its knees. "We pondered over options and it became clear to me that we could not put more resources into a bottomless pit because that would not serve the purpose that we wanted; a strong airline to service the interests of the country, to bring in forex, to bring in businesspeople, to increase and help revive the economic fortunes of the country." Government has been looking for technical partners to bail out the national flag carrier, but Air Zimbabwe's US$330 million debt makes it unattractive to investors. Last week, Air Zimbabwe head of corporate services Mr Tafadzwa Mazonde told The Sunday Mail they had crafted a strategic turnaround plan (2018 and 2020). Air Zimbabwe intends to use the Embraer ERJ 145 aircraft in the operationalisation of the "hub and spoke network", which anchors the plan. "The smaller Embraer aircraft will be used on the domestic and regional routes while the bigger aircraft will ply the long-haul inter-continental flights," said Mr Mazonde.